It was a cold January morning, with biting winds coming off the Seine, when I stopped by the Librairie du Cinéma du Panthéon during a break from working on our upcoming release of Marcel Pagnol’s Marseille Trilogy. 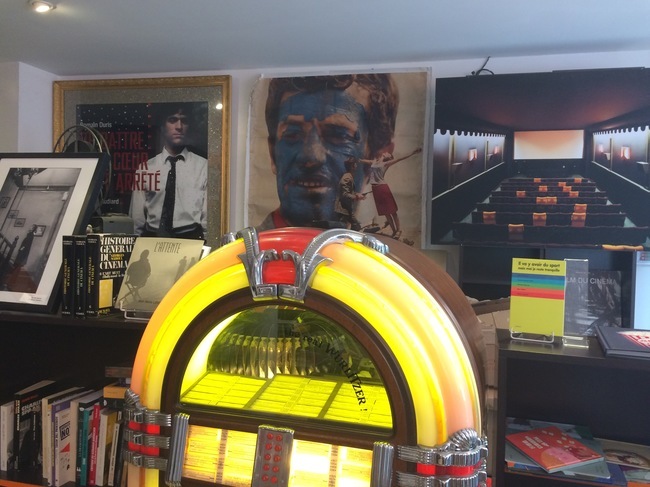 This film-specialty bookstore evolved out of the historic Ciné Reflets, which first opened in Paris’s Latin Quarter twenty-five years ago and flourished at three different locations under the ownership of Frédéric Damien. 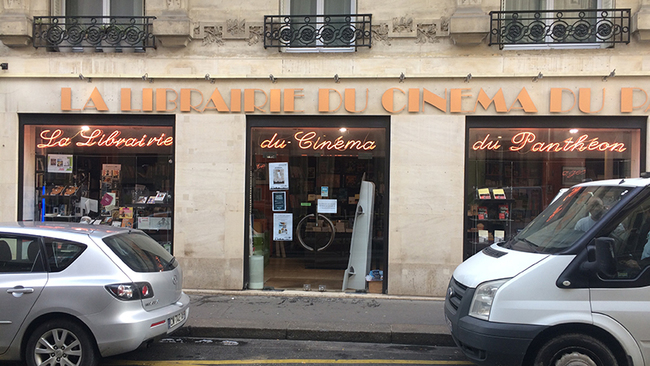 Thanks to a collaboration between Cinéma du Panthéon and Salon du Panthéon, two cultural organizations in the Left Bank, Damien established the Librairie du Cinéma du Panthéon as part of a line of bookstores called Thé des écrivains, which at the time had two other locations in Paris. The store, which is now operated by Marc Benda, is nestled on a narrow street in the heart of the fifth arrondissement, attracting Sorbonne students as well as cinephiles from across the city with a comprehensive collection of film books, a carefully curated selection of French DVDs, and rare merchandise and memorabilia. Could you tell me about your approach to choosing the books that you sell here? We try to represent all cinema, to insist on diversity. 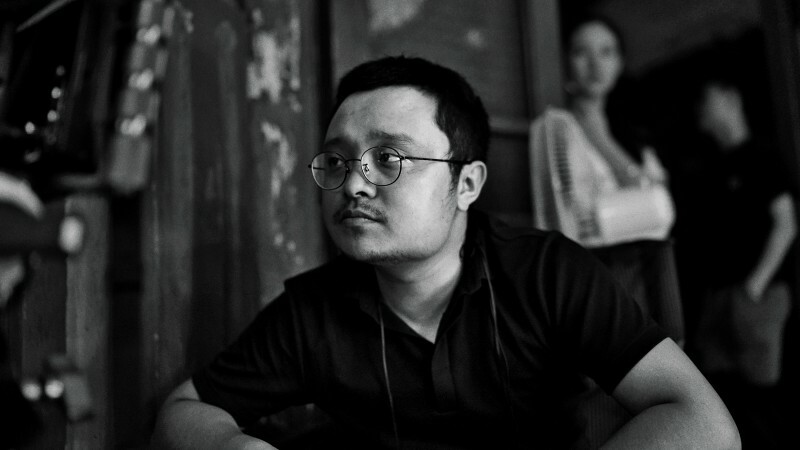 So the books here range in subject from very current French auteurist cinema to Chinese cinema and American cinema, and we try to present our public, at least our French-speaking public, with everything that’s related to film. We’re not going to decide which actor or which director is most interesting, because that’s not our role. What’s certain is that we offer a panorama of everything published in French on cinema and try to highlight books that we find interesting—work that has an academic or critical point of view, as well as monographs with beautiful images. 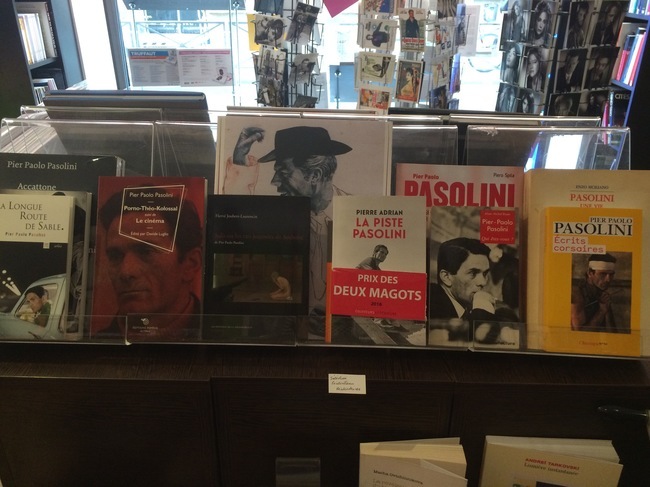 What are the main publishing houses in France that specialize in cinema? One publisher that might interest American readers is Capricci. They published Sidney Lumet’s Making Movies and a translation of Amos Vogel. Then there’s LettMotif, a publisher in northern France that just released a book on Hal Hartley that includes translations of his notes, a master class, an old interview he did with Godard, interviews with his actors, and pieces from young critics on their relationship to his work. A lot of people in France know Hartley’s films, so that was a major release. 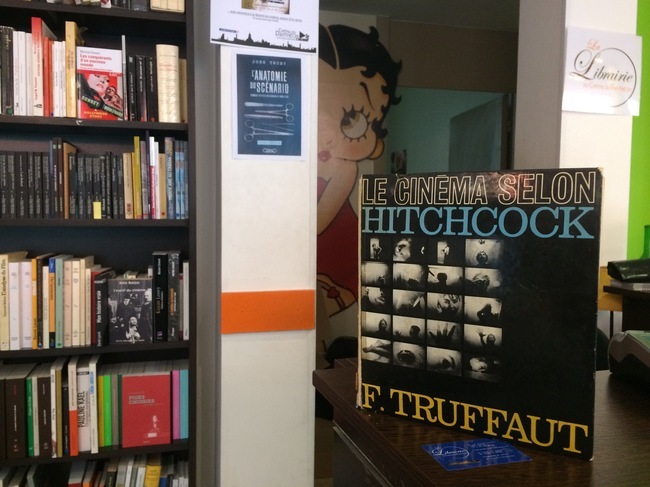 Was the culture of film bookstores in Paris richer in the past? Before, there were a great number of film bookstores, both on the left and right banks, and each had its own special focus. Then, one after the other, they shut down. Ciné Reflets was really the last one standing. Two things happened: as everyone knows, there was the rise of e-books and online selling. But that doesn’t mean there’s no longer a place for a film bookstore in Paris, because ours still works. Perhaps there just wasn’t space for so many of them, as people’s buying habits changed. What we offer cinephiles are new discoveries and secondhand items that people wouldn’t think to find online. In addition to books, we have a lot of film-related accessories: posters, press books, publicity shots. Also, there’s a relationship. Because we organize a lot of events, we create a link between the public and critics, actors, and directors. When a book is good, we try to organize an event around it. For example, last week we hosted John Truby, the script doctor who wrote The Anatomy of Story and just published the French translation of it. There’s a beautiful book on Artavazd Peleshyan, an Armenian director who made films from the 1960s to the 1990s. We also hosted a lovely evening with a writer whose father was a stuntman for Jean Marais, Belmondo, Resnais, and Delon. Tell me about your relationship to the Cinéma du Panthéon next door. We’re very strongly connected with the movie theater. We regularly organize partnerships with its movie clubs, and we try to host events that are connected to film releases. The great critic Jean Douchet meets with his movie club every month at the theater, and so we try to promote that, as well as his books. There’s also an Italian movie club there, which gives us a chance to promote our Italian material. And we organize our own club with screenings at the theater on Saturday mornings. What film magazines do you carry? 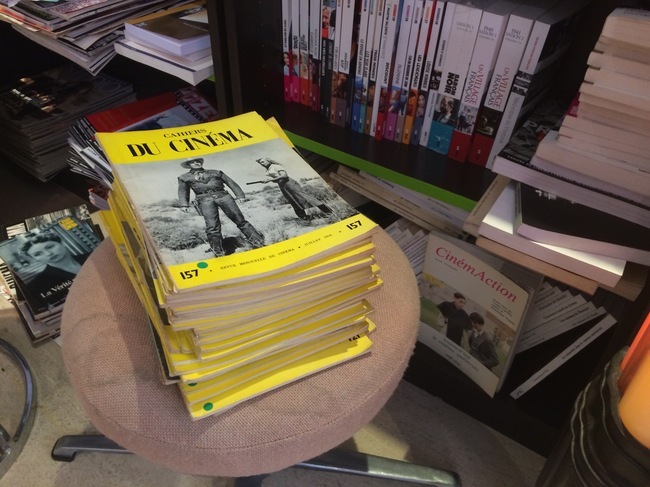 We obviously carry new editions of Cahiers du cinéma, but we also have a lot of old Cahiers because people know they can find them here, as well as old editions of Positif. There are also new magazines: La septième obsession and Clap. We’ve just started selling a new Québécois magazine called 24 Images. 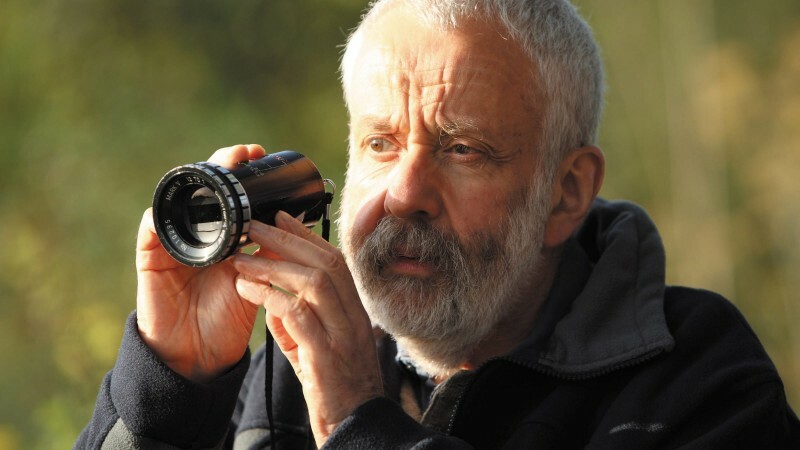 There’s also Antoine de Baecque, the “biography specialist.” He did a very famous book on Godard and one on Truffaut, and he also did one with Noël Herpe on Eric Rohmer. Those were the major events in recent years in terms of biographies, very detailed books that explore both the subjects and their works. Also, let me tell you about a little book called La piste Pasolini [In the Steps of Pasolini], which came out last year. It’s by Pierre Adrian, who is a twenty-three-year-old political science student in Paris. He took a walk through the spots Pasolini visited and lived in during his life, and also met people who knew Pasolini. It’s quite original, and it won the Prix des Deux Magots, a very important prize.